Struggling to pull your suitcase around London all day long is no fun. The city is full of people and activities too; so if you can avoid the hassle, you should do so at all costs. If you’re going for a trip over the weekend and do not have a place to sleep, we tell you how you can avoid dragging your luggage everywhere you go. If you are planning to hang out around a train station or airport, a great idea would be to look for a storage option around the station itself. 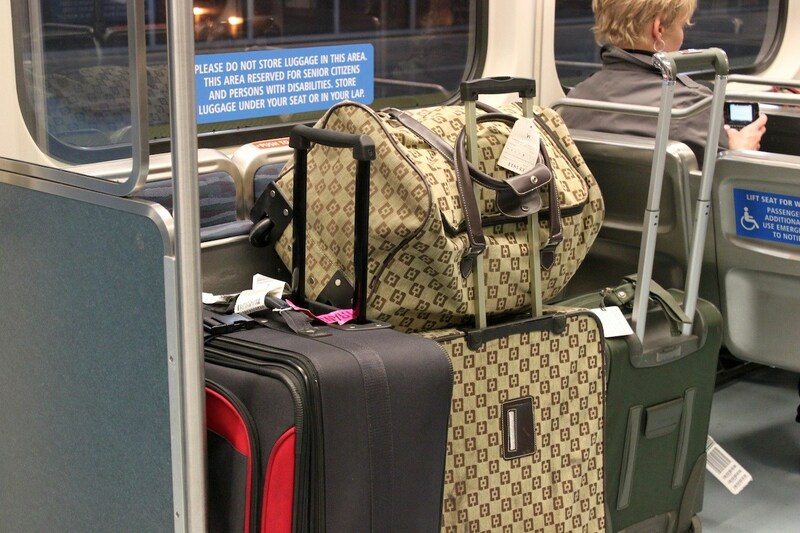 Some stations allow anyone – passenger or not – to drop their suitcases for a small fee. You can take advantage of this to leave your bags there while you accomplish your mission. For security purposes, many airports do not provide storage options. However, luckily enough, large ones like the London Heathrow do. If you’ll be in the vicinity of the airport, you can choose to drop your suitcases there for temporary storage. Take note that you cannot check anything polluted, toxic or explosive, for obvious reasons. The luggage storage industry is quickly growing, as more people venture into the business. What this means is that you can easily find an independent storage facility of your choice in London. The best thing is they are scattered everywhere, so it shouldn’t be too hard to find one. However, you should take time to do some research, just to ensure you’re leaving your luggage in a safe place. To learn more about luggage storage services, you read more about them here. If you are daring enough, you can smile nicely, generously tip and ask a restaurant coat check or hotel concierge person to temporarily store your stuff. Remember, you may have to try a number of them before you get one that’s willing to do this. You also should not insist, lest you put them in awkward positions. If you realise they are not interested, move on to the next one. Repeat until you get one who’s comfortable holding on to your stuff. Storing your luggage in an independent storage facility packs an incredible range of benefits over the other methods. First, these stores fully specialise in storage – it is what they do on a daily basis, so you can expect nothing but top care for your goods. Second, unlike other methods where you have to second guess as to whether or not the services are available, you are guaranteed that the storage facilities offer storage services, and so once you are there, you will get the help. Third, storage companies offer affordable services, so rather than paying a hotel luggage person to take care of your luggage, you can just pay the professionals to do the job. Fourth, independent storage facilities are available in different locations, including in or in the vicinity of the airport or railway stations, as well as in towns, and near parks and museums, so accessibility shouldn’t be an issue.